The fight has lasted for more than two hours. 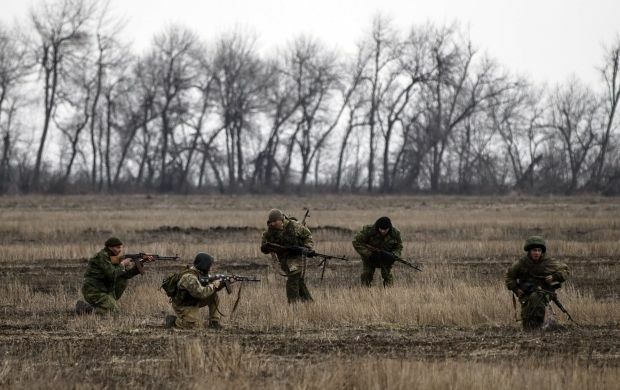 The Ukrainian forces participating in the anti-terrorist operation (ATO) in Donbas have successfully repelled an attack by pro-Russian militants on the village of Triokhizbenka in Luhansk region. According to preliminary reports, some of Ukrainian soldiers have been wounded, Luhansk Regional Military and Civil Administration Chairman Hennadiy Moskal's press service reported. "The fight in Triokhizbenka ended at about 1220 Kyiv time on Saturday," the press service said. At 1030 Kyiv time on Saturday, pro-Russian militants (according to preliminary reports, there were several sabotage and reconnaissance groups) came to a destroyed bridge over the Siversky Donets River and tried to break to the village of Triokhizbenka through the line of contact. A fight broke out, which lasted for more than two hours. During the skirmish, the militants used not only sub-machine guns, but also heavy machine guns, mortars, rocket-propelled grenades, and rapid-fire anti-aircraft guns. "The enemy's attack has been repelled, they haven't been let in the village. After 1220 it has been quiet in Triokhizbenka. Preliminary reports say that a few Ukrainian soldiers were wounded during the fight," the press service said.